It is a great pleasure to announce that Mrs Louise Williamson, one of our 2015 Civil Engineering MEng graduates, won the Institute’s of Asphalt Technology Golden Branch award of the Scottish Branch. 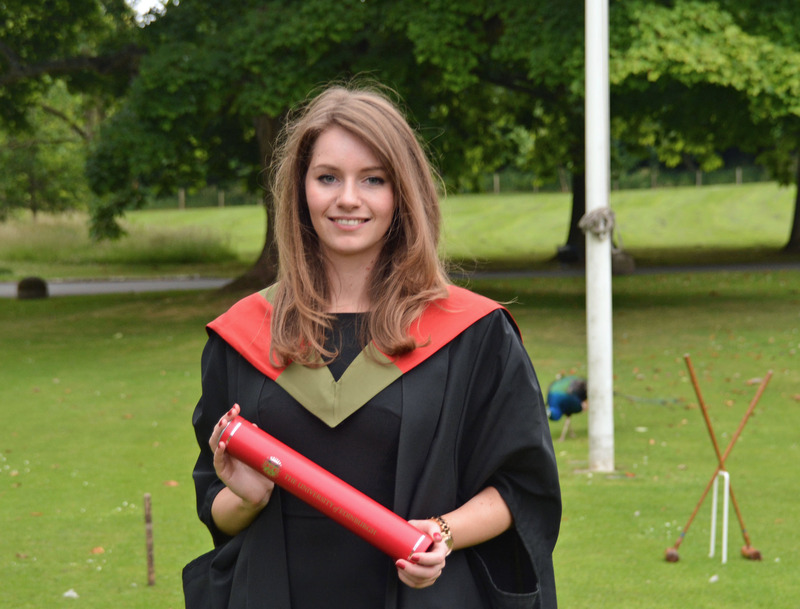 This award accompanied by a prize of £500, was given for her final year dissertation of her thesis project “Using ground penetrating radar to assess the condition of bridge deck surfacing”. The project examined the applicability of a novel, high frequency, ground penetrating radar system in assessing the condition of thin asphalt layers something that is very difficult to achieve using current standard equipment. Louise worked with Mr Peter Robertson, her thesis project partner, in designing experiments and performing numerical simulations to interpret the complex results. The project was carried out in collaboration with Dr Michael Gordon, Principal Engineer, Mouchel Ltd and with the kind support of MATtest Southern Ltd. Louise worked under the supervision of Dr Antonis Giannopoulos, Institute of Infrastructure and Environment. We wish Louise the best of luck, as her dissertation will now compete in the next round for the Institute’s of Asphalt Technology, UK-wide, Golden Presidential Award.